My goodness these are pretty! 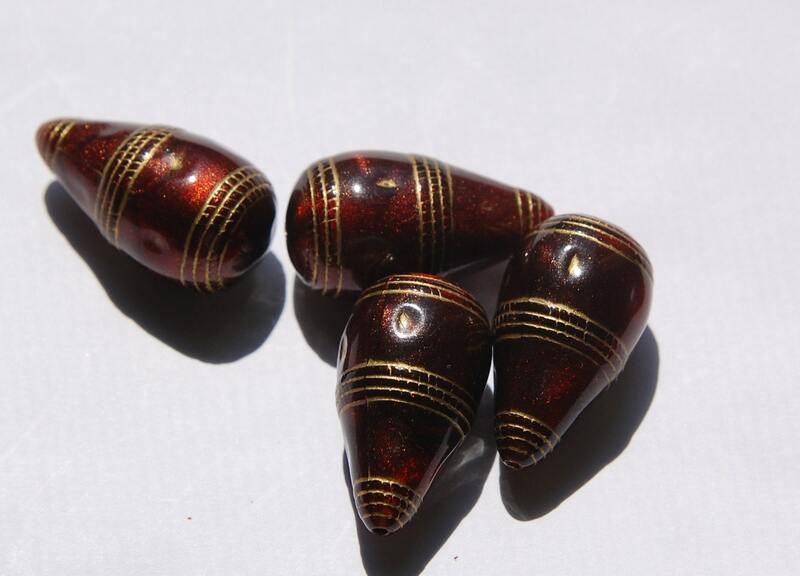 These teardrops are done in a pretty bronze brown color with gold banding. 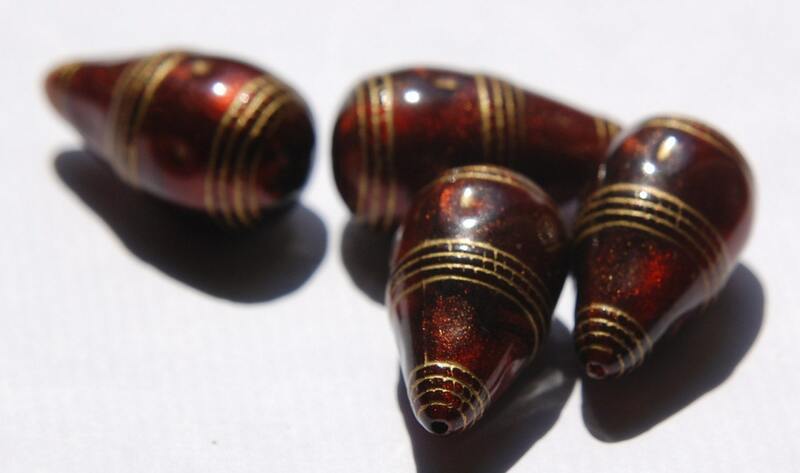 These measure 26mm x 14mm you will receive 4 of these. These are really neat, thank you!